We extend a special welcome to those who are single, married, divorced, gay, filthy rich, dirt poor, yo no hablo Ingles. We extend a special welcome to those who are crying newborns, skinny as a rail or could afford to lose a few pounds. We extend a special welcome to those who are over 60 but not grown up yet, and to teenagers who are growing up way, way too fast. We welcome soccer moms, NASCAR dads, starving artists, retired farmers, hedge-fund managers, tree-huggers, latte-sippers, vegetarians, computer nerds, and junk-food eaters. We welcome those who are in recovery or still addicted- some of us have also been there. We welcome you if you’re having problems these days or have had “issues” your whole life long. We welcome you if you’re down in the dumps or if you don’t like “organized religion”- we’ve been there too. We welcome you if you’re “spiritual but not religious,” and if you are curious whether it is possible to be both at once. If you blew your offering money in a football pool or on online betting, you’re welcome here. We offer a special welcome to those who think the earth is flat or was created, literally, in seven days. We welcome you if you work too hard or don’t work at all. We welcome you if you have a PhD, but are working now at Trader Joes, or if you can’t spell and the job you do have is killing you. We welcome you if you’re here today only because grandma is in town and wanted to go to church and you just didn’t want to disappoint her. We welcome those who are inked, pierced or both. We offer a special welcome to those who could use a prayer right now, maybe especially because they had religion shoved down their throats as kids or by someone they worked for after they grew up. We welcome you if you wound up here by mistake thinking that this was the Catholic church (it’s around the corner on Clay Pitts, but since you’re here already, you might as well stay for our service- we welcome Catholics too and, of course, people of all faith traditions). We welcome tourists, seekers, doubters, and everybody on the edge of faith, which includes, well, pretty much all of us. Bottom line: we welcome you. And we welcome you because we know that no matter who you are, Jesus welcomes you. Oh, and also because we know that when we receive the welcome that Jesus offers, everything begins to change for the better and keeps changing so long as we do (and as long as we do the right thing and welcome others in his name too). 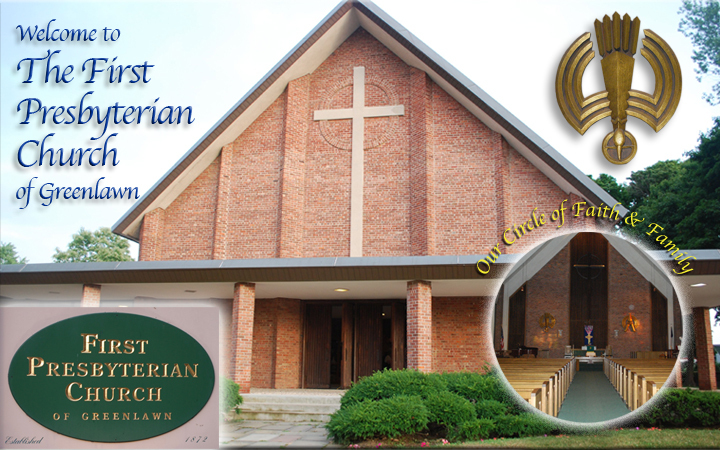 Bible-based congregation with an active membership of approximately 150. 35 miles east of New York City. At 10:45am, after a Children's message, children are dismissed to Sunday School. Summer Hours are an hour earlier at 9:30am.